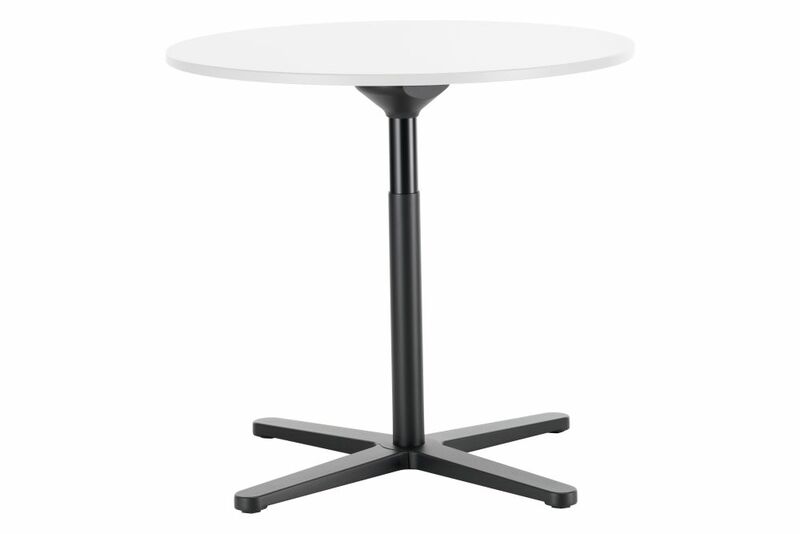 The Super Fold Table by Jasper Morrison folds up completely with a single movement of the hand, and the legs of the four-star base are also rotated and vertically aligned for compact space-saving storage. The Super Fold Table comes in a range of materials, with different shaped table tops. It is available in both sitting and standing height versions.